Amazon Summer Sale (3rd - 7th May) : Prime Early Access Sale 12 AM on 2nd May. What is Amazon Great Indian Sale dates, time and sale duration in 2019? Amazon Great Indian Festival Sale will be announce soon. You can start your New Year shopping early this year, because the Amazon Great Indian Sale 2019 will soon. Or it could be late Navratri shopping. However, for smart shopaholics like DesiDime members, Amazon Great Indian Sale 2019 is a good enough reason to go on a shopping spree because this sale is going to treat all online shoppers to some exclusive, never-before-seen and eye-popping deals and discounts on a wide range on almost everything. Be it clothes, shoes, fashion jewelry, watches, mobile phones, TVs, laptops, computers, washing machines, refrigerators microwave ovens and other kitchen and home appliances; you can have it all at amazing prices thanks to this sale. To make sure that you don’t miss out on the truly best Amazon Great Indian Festival sale deals and coupons, this DesiDime page will bring them all to you here and the community will also help you identify which Amazon Black Friday Sale or Amazon Great Indian Festival sale discount coupons are better than others. What are the categories covered on Amazon Great Indian Sale 2019? Amazon Great Indian Festival Sale is back before Diwali. This Amazon deal will be exclusive and eye-popping deals and discounts on various products like clothes, shoes, bags, fashion accessories, mobile phones, tablets, other gadgets, electronics like TVs, refrigerators, ovens etc., kitchen appliances, on anything and everything that is available on Amazon India, for these four days. Amazon Great Indian Sale will feature deals from thousands of sellers and brands on the e-commerce website except its regular Amazon Promo code. Avail EMI options on HDFC Bank debit card, ICICI bank debit & Credit card and City Bank Credit card. 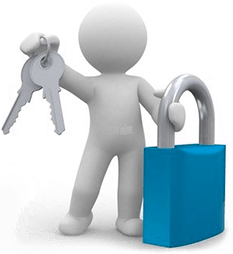 You can get loan UPTO Rs 1 lakh. The interest payable will be built into your monthly instalment. Bookmark page http://www.amazon.in/...le . Look out for ‘Deals’ on this page on the sale days. Our blockbuster deals get sold out within seconds. Make sure you sign in to your registered account and enter your shipping address and payment details beforehand. Once your favorite deal is live, add the product to cart and check out within 15 minutes. Amazon Prime members will get Amazon Great Indian Festival Sale deals 30 mins early along with 72 hours guarantee delivery. DesiDime is an online shopping community, which brings you the best online deals, most popular online coupons, genuine store/ product reviews and live discussion forums, every day. Thus, on special days like the Amazon Great Indian sale, DesiDime is where you should be in order to get your hands on the best of Amazon offers and deals this year. Amazon Great Indian Sale deals on Mobile Phones: This is the best time to buy a smartphone because some of the best-selling smartphones from top brands will be available at stellar prices during this sale. You will also be able to exchange your old smartphone for a new one and save more. Amazon will also be offering no cost EMI option these phones along with great Total Damage Protection buying options in order to shield yourself from expenses in case of accidental damage to the phone. Amazon Great Indian Sale offers on Electronics: Be it laptops, cameras, printers, Bluetooth speakers, accessories, gaming consoles; everything will be available at amazing discounts along with exchange offer. If you buy Amazon Fulfilled products, you can be rest assured that these products are 100% original. Amazon India also offers fast delivery. 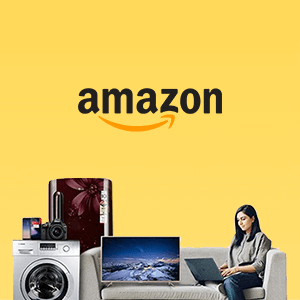 Amazon Great Indian Sale offers on TVs and appliances: This year’s biggest Amazon Great Indian Festival sale 2018 deals and offers will be available on TVs, refrigerators, ACs, home theater systems etc. You will also get 48 hours installation, brand warranty and scheduled delivery along with your purchases. More than 5000 home and kitchen products from top brands will be available at lowest prices of the year. Speaking of apparels and fashion accessories like bags, shoes, belts, jewellery et al, this Amazon Great Indian Festival sale brings you 1 lakh plus styles from top brands at minimum 50% off with 30 days return policy. Bookmark this page, as it will be constantly updated with the best and latest Amazon Great Indian Festival sale coupons and discounts the moment they go live. You will be able to sort these deals by Categories. Pick the Amazon Great Indian Festival Sale 2019 deals with high hotness, they are the ones that are best according to the community members. Download the DesiDime mobile app and Amazon shopping app to grab exclusive app offers on the go. Subscribe to DesiDime WhatsApp and Telegram channels to get the first-rate Amazon Great Indian Festival Sale coupons and offers as soon as they go live. If you have any doubts or queries about any Amazon Great Indian sale, get your answers in the forums where you will find some experienced shoppers having the right answers. Amazon India offers it’s Prime members early access to all its sales. So, if you are a Prime member you will get to grab all the Amazon Great Festival deals and offers 30 minutes before the rest of India. 30-minute early access to sales, daily Lightning Deals, exclusive offers etc. You can join Amazon Prime membership for Rs 129 per month or for Rs 999 per year from here(link). To save money on your membership, you can keep an eye on Amazon Prime Subscription offers by clicking on link. Get all other Amazon offers click on Amazon Coupons and Promo code .